$ 650 - Dorsa Bar table. 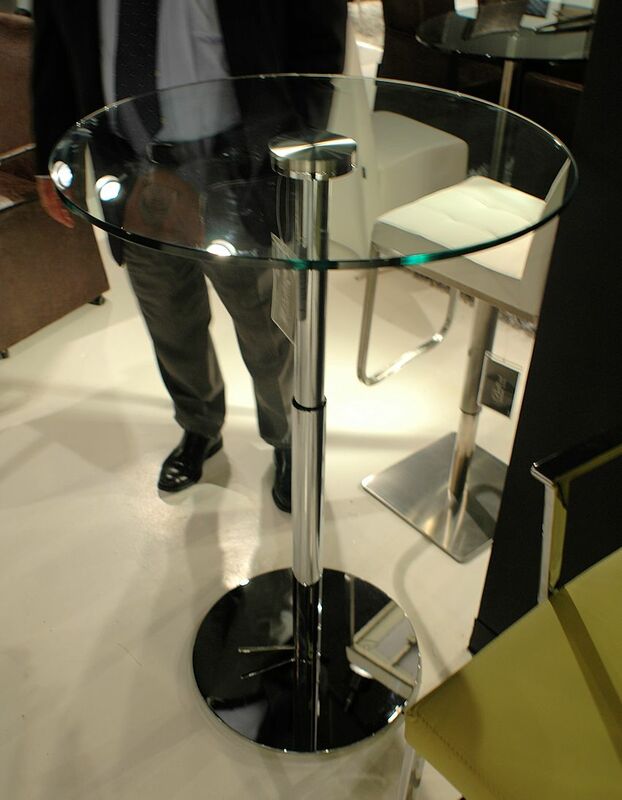 27" round glass adjustable 31" to 45"H table with Chrome base. Stunning! 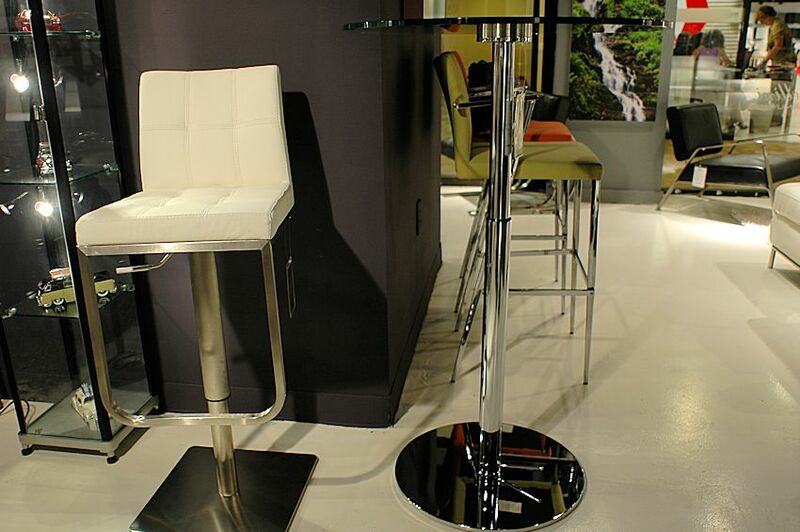 This is a very nice adjustable table at an affordable price. 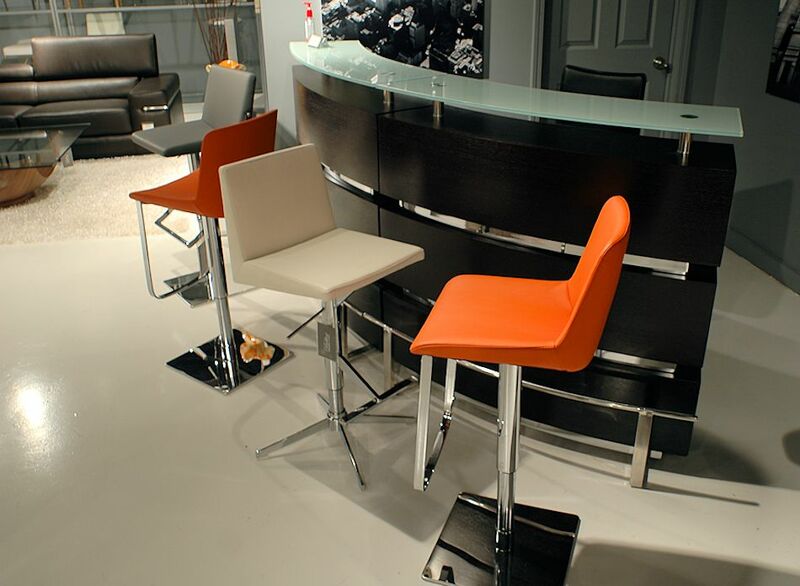 This factory offers leatherette seat and chromed steel base & frame made in Asia for a great price.